Don’t waste a bit of valuable space. Jump over to the one system that can do it all. 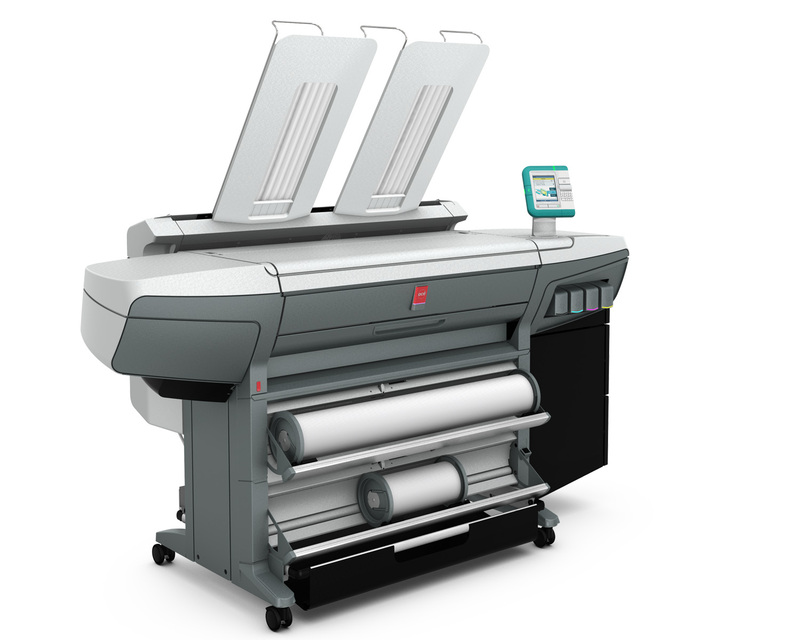 The Océ ColorWave 300 multi- function system effortlessly handles all your color and black and white print, scan, and copy jobs. Print, copy, and scan all your color and black and white wide format documents on one system. Thanks to the top mounted scanner, all functions can be controlled from one simple user panel. unique Océ technologies, like Océ Image Logic® technology ensures first-time right results, while Océ Dynamic Switching technology maximizes productivity of mixed drawings—all without complex print settings or user configuration. Reduce floor space requirements and costs by replacing multiple printers and scanners with a single system for both color and monochrome output. No extra stacking table needed with the top delivery tray. Media and ink are loaded from the front for further convenience. Boost your competitive edge by applying monochrome or color as needed to enhance documents and make your company stand out. This system easily accommodates monochrome jobs without compromising on throughput for color applications.